Draft: 2012, New York Mets, 2nd rd. Matthew William Reynolds...Graduated from Bishop Kelley (OK) High School and attended the University of Arkansas...Helped the University of Arkansas to the 2012 College World Series. Enjoyed four stints with the Mets...Played in a career-high 68 games...Also set career-bests in hits and runs scored...Appeared in 23 games at third base, 10 at shortstop, eight at second base, seven in leftfield, three at first base and one game in right field...Hit .320 with nine doubles, four homers, 14 RBI and 27 runs scored in 33 games for the 51s...In 13 games for Triple-A Las Vegas in August, he hit .346 (18-for-52) with five doubles, four RBI, 10 runs scored and a .433 on-base percentage. Underwent a right wrist debridement on December 12 at the Hospital for Special Surgery...Began the season with Las Vegas (AAA) of the Pacific Coast League and had four stints with the Mets (May 17-29, June 3-July 5, August 1-13 and September 5-end of season)...All three of his career home runs in the major leagues have given the Mets the lead...His first career homer gave the Mets the lead on June 22 vs. Kansas City... His second was a go-ahead home run on August 1 vs. the Yankees and his third came on September 5 at Cincinnati...Made his major league debut on May 17 vs. Washington starting at third base...Grabbed his first major league hit on May 25 at Washington (off Tanner Roark)...Connected on his first major league home run on June 22 vs. Kansas City...Was a solo shot in the sixth inning that put the Mets ahead, 4-3...Gave the Mets the lead on June 4 at Miami with a pinch-hit RBI single in the eighth inning off David Phelps...Was his first career RBI...Had the go-ahead RBI fielder's choice in the 11th inning on June 10 at Milwaukee...Recorded his first career multi-hit and multi-RBI game on June 15 vs. Pittsburgh...The three hits and two RBI were both career highs...Played 18 games in June and batted .296 (8-27) with four doubles, one home run and six RBI...Matched a season/career high with his three hits on September 5 at Cincinnati...One of the three hits was his third career homer, a solo shot in the second inning off Robert Stephenson. Appeared in 115 games for Las Vegas (AAA) of the Pacific Coast League...Led the team in triples (five) and runs scored (70)...Was tied for the team lead in doubles (32)...Named to the PCL All-Star team. Began the year with Binghamton (AA) of the Eastern League…Promoted to Las Vegas (AAA) of the Pacific Coast League on June 19...Hit a combined .343 (164-478) in 126 games for the two teams. In his first full season, played in 117 games for Single-A Port St. Lucie...Recorded 32 extra base hits (21 2B, 6 3B, 5 HR). Hit .259 with eight doubles, three homers, 13 RBI, 12 walks, five stolen bases and 18 runs scored in 42 games for Savannah. February 12, 2019 Washington Nationals invited non-roster SS Matt Reynolds to spring training. January 17, 2019 Washington Nationals sent SS Matt Reynolds outright to Fresno Grizzlies. January 13, 2019 Washington Nationals designated SS Matt Reynolds for assignment. October 1, 2018 Washington Nationals recalled SS Matt Reynolds from Fresno Grizzlies. July 31, 2018 Washington Nationals optioned Matt Reynolds to Syracuse Chiefs. July 26, 2018 Washington Nationals recalled Matt Reynolds from Syracuse Chiefs. June 17, 2018 Syracuse Chiefs activated SS Matt Reynolds from the 7-day disabled list. June 15, 2018 Syracuse Chiefs sent SS Matt Reynolds on a rehab assignment to Auburn Doubledays. May 28, 2018 Syracuse Chiefs placed SS Matt Reynolds on the 7-day disabled list. April 24, 2018 Washington Nationals optioned SS Matt Reynolds to Syracuse Chiefs. April 7, 2018 Washington Nationals recalled Matt Reynolds from Syracuse Chiefs. March 26, 2018 Washington Nationals optioned 3B Matt Reynolds to Syracuse Chiefs. February 12, 2018 New York Mets traded 3B Matt Reynolds to Washington Nationals for cash. February 9, 2018 New York Mets designated 3B Matt Reynolds for assignment. August 17, 2017 New York Mets recalled 3B Matt Reynolds from Las Vegas 51s. August 1, 2017 New York Mets optioned SS Matt Reynolds to Las Vegas 51s. June 28, 2017 New York Mets recalled Matt Reynolds from Las Vegas 51s. June 21, 2017 New York Mets optioned SS Matt Reynolds to Las Vegas 51s. June 16, 2017 New York Mets recalled Matt Reynolds from Las Vegas 51s. June 11, 2017 New York Mets optioned SS Matt Reynolds to Las Vegas 51s. April 26, 2017 New York Mets recalled Matt Reynolds from Las Vegas 51s. March 22, 2017 New York Mets optioned SS Matt Reynolds to Las Vegas 51s. October 6, 2016 Matt Reynolds roster status changed by New York Mets. October 5, 2016 New York Mets reassigned 3B Matt Reynolds to the minor leagues. September 5, 2016 New York Mets recalled 3B Matt Reynolds from Las Vegas 51s. August 13, 2016 New York Mets optioned 3B Matt Reynolds to Las Vegas 51s. August 1, 2016 New York Mets recalled Matt Reynolds from Las Vegas 51s. July 5, 2016 New York Mets optioned SS Matt Reynolds to Las Vegas 51s. June 3, 2016 New York Mets recalled Matt Reynolds from Las Vegas 51s. May 29, 2016 New York Mets optioned SS Matt Reynolds to Las Vegas 51s. May 17, 2016 New York Mets recalled Matt Reynolds from Las Vegas 51s. April 1, 2016 New York Mets optioned SS Matt Reynolds to Las Vegas 51s. 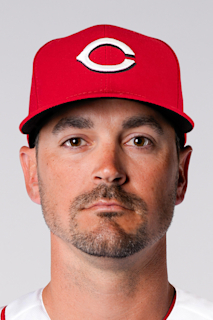 November 2, 2015 Matt Reynolds roster status changed by New York Mets. October 27, 2015 New York Mets reassigned SS Matt Reynolds to the minor leagues. October 12, 2015 New York Mets selected the contract of SS Matt Reynolds from Las Vegas 51s. July 30, 2015 Las Vegas 51s activated SS Matt Reynolds from the 7-day disabled list. July 23, 2015 Las Vegas 51s sent SS Matt Reynolds on a rehab assignment to GCL Mets. July 8, 2015 Las Vegas 51s placed SS Matt Reynolds on the 7-day disabled list. February 3, 2015 New York Mets invited non-roster SS Matt Reynolds to spring training. June 19, 2014 SS Matt Reynolds assigned to Las Vegas 51s from Binghamton Mets. April 3, 2014 SS Matt Reynolds assigned to Binghamton Mets from St. Lucie Mets. March 5, 2014 SS Matt Reynolds assigned to New York Mets. September 4, 2013 SS Matt Reynolds assigned to St. Lucie Mets from Binghamton Mets. September 2, 2013 Matt Reynolds assigned to Binghamton Mets from St. Lucie Mets. April 4, 2013 Matt Reynolds assigned to St. Lucie Mets from Savannah Sand Gnats. February 24, 2013 IF Matt Reynolds assigned to New York Mets. September 28, 2012 Matt Reynolds roster status changed by Savannah Sand Gnats. August 24, 2012 Savannah Sand Gnats placed 3B Matt Reynolds on the 7-day disabled list. June 30, 2012 3B Matt Reynolds assigned to Savannah Sand Gnats. June 29, 2012 New York Mets signed 3B Matt Reynolds.